This fantastic Hey Baby collection by Australian designer James Boston is inspired by fun with the white ink, utilising the negative space to bring some of the kraft paper though into the design. and would complement those looking for a Simple sweet gender neutral styled look. 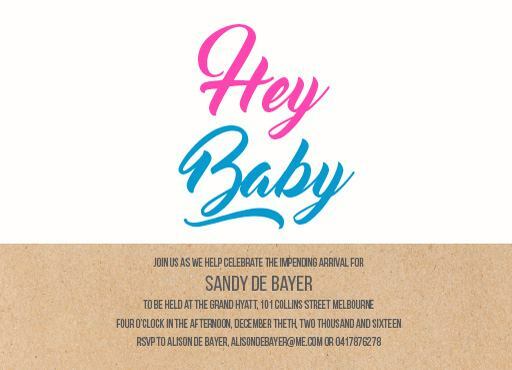 The baby shower invitations card from the sophisticated Hey Baby collection looks stunning when printed using digital printing and we think when it comes to stocks, it looks best on Paperlust Kraft.